Tips for cleaning and refreshing the XEROS sponge mouthpieces. Useful for cleaning after wearing the mouthpieces all night, or to restart using them again after a break. Tips to clean the XEROS Dry Mouth Pump bottle and tubing. Tips for keeping the OraStretch press and Therabite system clean. 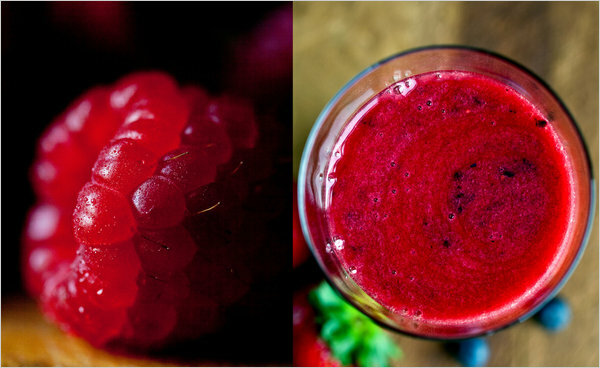 A GREAT Berry Recipe for a Summer Fruit Smoothies. Today, Marth Rose Shulman at the New York Times posted a great recipes for a delicious Berry and Rose Geranium smoothie with the ripe, fresh berries in the stores right now. Normally, this smoothie is made with frozen bananas, but here its made with dairy. Yummy delicious! Details and links in the full post.